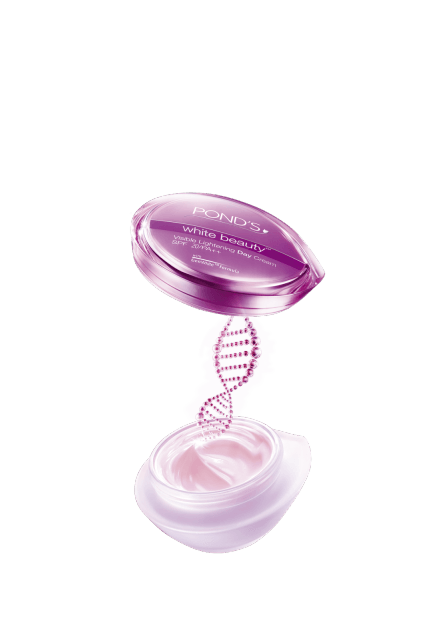 Pond’s – ah! It’s sort of strange how some memories stick with you forever. As far back as I can remember my Grand ma used to put on a thick layer of Pond’s cold cream every night before going to bed. And then I can’t remember ever not seeing that bottle of Pond’s moisturizing body lotion somewhere on the counter top of my tan bathroom floor. 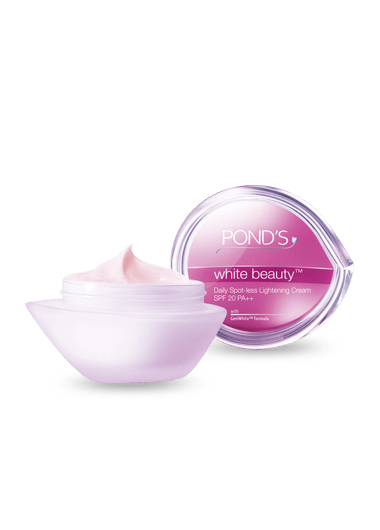 Yes, Pond’s is one of those nostalgic beauty brands that for most of us still conjure up the memories of “those good old days” and we can’t help but think of these old standbys as tried-and-true gems. Don’t you also like to give in to the temptation of trusting an old familiar brand over a dramatic new one? Well that’s how I bought Pond’s white beauty daily spot-less lightening cream, figuring if I liked something once, maybe I’ll like it again. Now how this cream fared on my present 30-something skin, read review to discover. One whiff of Pond’s white beauty and it transported me back to memory lane. 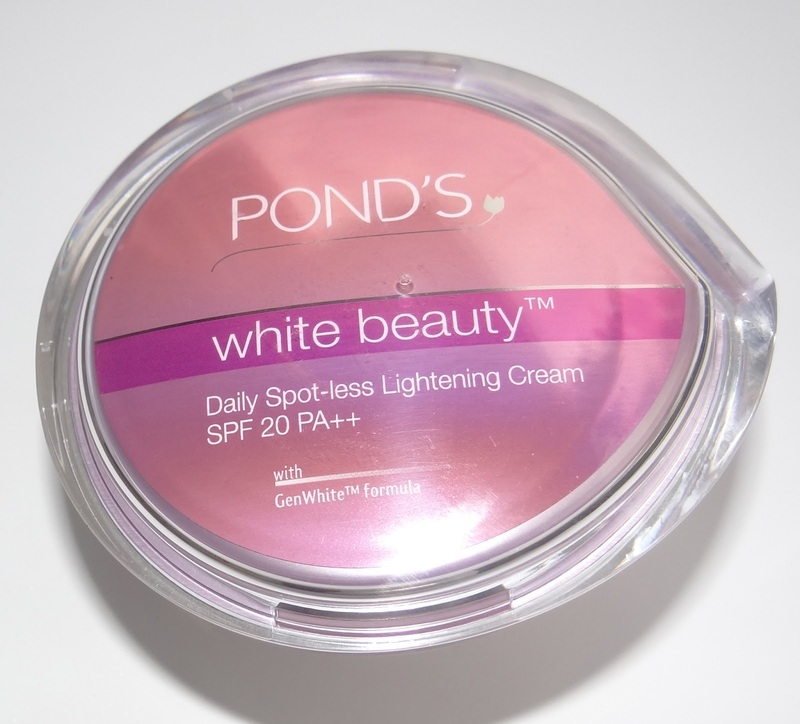 The new white beauty daily spot-less lightening cream smells just like Pond’s talcum powder. Packed in an attractive glass jar with a pink lid, the packaging too has a familiar feminine feel. The flirty twist however lies in the texture of this fairness cream that feels more like a fluffy mousse than like a cream. Though incredibly soft to touch, it thickens up instantly upon applying. The cream mattified my oily summer skin lending an immediate pearly glow! But the brightening does not last long. A couple of hours past and all the glorious effect of this lightening day cream faded. Also the cream does not have any moisture. My skin felt dry, patchy, and tight even in hot summers! As for the claims of reducing dark melanin production and fading dark spots, the so called ‘GenWhite’ formula of this cutting edge lightening cream from Pond’s fails in that department too! I can’t say much about its sunblock properties as I completely shunned this cream only after a week’s usage. I am currently using this fairness day cream as a hand cream just to get some value for my money. 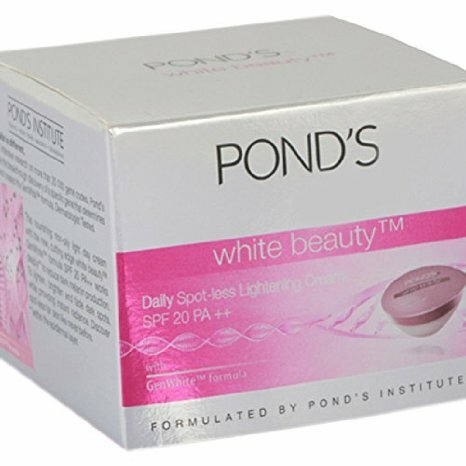 Overall Pond’s White beauty daily spotless lightening cream does not do much in skincare department. It fails in most of its claims. Although, reasonably priced fairness cream, it is a complete waste of money unless you are looking for a mattifying day cream for temporary brightness. A disappointing product from one of my old favorite brand. Ponds is def a very nostalgic brand! My grandmom, my mom and now me, we all swear by it! >> Price of the product should not be very less than market price. >> Packaging for fake one shall not be quality controlled. Will be different from the original one. >> Name of the brand / logo shall have some errors. >> Batch of production shall not be ok.
>> Barcode shall be missing / blurred. >> Check for the sealed product. Last but not the least buy products from proper stores & not from small shops.